The residents say the site is unsuitable. Talks continued today. THE SOUTHSIDE TRAVELLERS Action Group, which has been supporting survivors of last weekend’s fire tragedy in Carrickmines, says it is “hopeful” a deal can be reached to accommodate them at a temporary halting site nearby. Local officials are still trying to convince a group of residents at Rockville Drive to allow contractors access to a proposed temporary halting site to house the families. Initial talks were held on Wednesday – and after further talks yesterday, there was some speculation that the two sides may be close to a deal. The residents said earlier this week they weren’t consulted about plans to house survivors of the weekend tragedy on their cul-de-sac. It’s proposed 15 people left homeless as a result of the blaze be placed temporarily at the site in four mobile homes while work takes place to prepare a second, permanent site nearby. The Council has said the site will be “decommissioned” in six months. 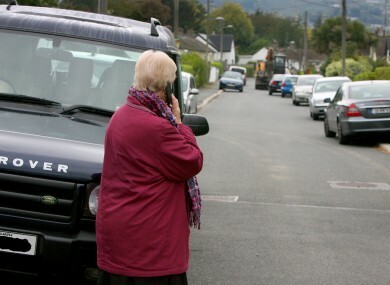 A circular was delivered to houses shortly before a digger arrived on the street on Tuesday, and residents moved their cars to block the equipment from making progress. Talks began the following morning. In a statement, the residents said the Council had created the temporary halting site where the fire occurred around eight years ago. They said that site was “too small, cramped and totally inadequate” and that the local authority was about to repeat its mistake by creating Traveller accommodation at Rockville Drive. Dún Laoghaire-Rathdown County Council said a “range of issues” were discussed at today’s meeting with residents. “We are continuing to work actively with the residents with a view to addressing the issues,” a spokesperson said. Email “Stand-off at Rockville Drive: Travellers group 'hopeful' of deal on halting site”. Feedback on “Stand-off at Rockville Drive: Travellers group 'hopeful' of deal on halting site”.